The Mongolian step of INDEX-6®. 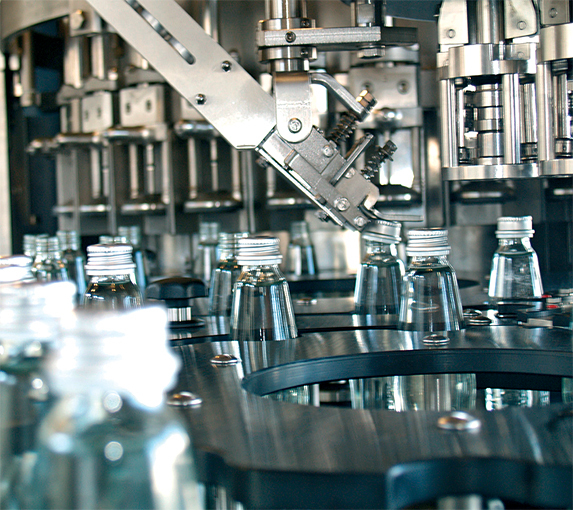 The contemporary water producer started with the packing: glass-bottle-with-metal-cap brand. INDEX-6® finalized the project and created, for a Mongolian producer, a soda water bottling line and aroma water with integrated carbonizer and Ultra Clean filling block of very high hygiene standards for the precise filling and closing of individual 0.5 l glass bottles with a twist off cap, followed by labelling and packing machines. 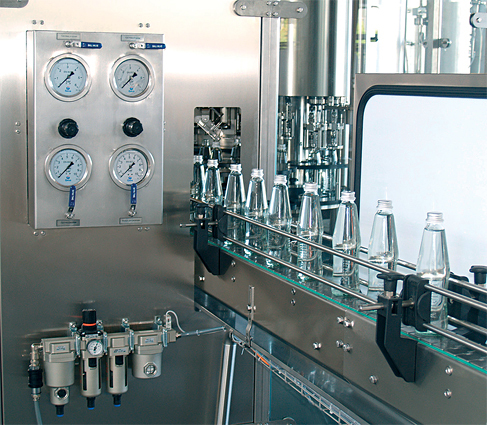 A CIP and a SIP system have been installed in synchrony with the line as part of our IND-PPS for automatic cleaning of the machine working chamber, the bottles and the caps. Before they reach the central part of the block, the filling carousel, bottles go through the cleaning section of the block where they are cleaned with disinfectants H2O2 and then dried. After that they go to the filling valves where they are filled with the right amount of carbonated liquid in a controlled environment so the water preserves its taste before the bottle is closed. The closing block has a Pick & Place-device which provides the secure closing and easy opening of the final product. With the INDEX-6® block the distant country of Mongolia obtained their own unique and stylish soda water.